Patricia A. Milligan is the president of Mercer’s human capital business, which serves clients in the areas of workforce strategies, human resource effectiveness, business transformation, talent and rewards and executive compensation. She is a member of Mercer’s Executive and Operating committees and Mercer’s Consulting Council. Since joining Mercer in 2005, Pat has sponsored and led several key imperatives to enable Mercer to achieve its long-term strategic objectives, including the implementation of Mercer’s global client relationship management system and the repositioning of the firm’s brand in the marketplace. Prior to Mercer, Pat led the worldwide markets business at Mellon Human Resources Services. She was also involved in Mellon’s HR Outsourcing and has first hand experience on how to integrate consulting and outsourcing capabilities. Pat also held a variety of business leadership roles at Towers Perrin, where she led the Human Resource Effectiveness business and built and led the Change Management, Communication & Measurement and People Strategy businesses. In addition, she was managing director of strategic planning, and sales and marketing. Pat was a member of Towers Perrin’s Board of Directors. Pat has spent over 25 years consulting with clients and has extensive experience in strategic planning, business leadership and global human resources. 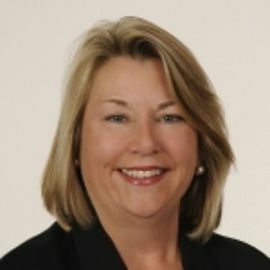 She has partnered with and been involved in innovative and pioneering work in the area of talent strategy, total rewards, flexible benefits, HR effectiveness and outsourcing for a broad range of clients, including Colgate Palmolive, BP, Novartis, Dunn & Bradstreet, ACNielsen, RJR Nabisco, Sara Lee, BASF, Amoco, Alcoa and Xerox. Pat is a graduate of Georgetown University’s School of Foreign Service and the Kellogg Graduate School of Management at Northwestern University.